I had the opportunity this week to interact with some of our community's thought leaders. The experience reminded me, and left me wondering why, there is an impenetrable wall of common sense between home healthcare's wisest attorneys, marketers, clinicians and financial consultants on the one side and policy makers in Baltimore and Washington on the other side. The government's attempt to control Medicare fraud, waste and abuse catches few criminals but punishes thousands of honest providers, often forcing them out of business. CMS has deployed a system that does not work and should reform it immediately. With the exception of the joint task force known as H.E.A.T., which does a great job of grabbing headlines by finding and exposing fraud schemes if they exceed a threshold somewhere around $100 million, the government's efforts to eliminate Fraud, Waste, and Abuse (F/W/A) from the home health industry fail to notice that there is a difference among the three. Consider, as an example, a hypothetical but typical conversation, described to me by home health attorney Robert Marquette, between Medicare contractors and an attorney trying to keep his home health client out of prison. ZPIC: We have detected numerous instances where we have paid your client for patient visits that turned out to be medically unnecessary. Attorney: Actually, what you have identified is medically necessary visits that were inadequately documented by the visiting clinician. My client's clinicians may be sloppy, they may be lazy, but there is no criminal intent to defraud Medicare. ZPIC: Well, we have plenty of experience with this type of home health provider. In fact, we know that as much of 4% of home health claims are fraudulent. We know there are some home health agencies submitting claims to Medicare intermediaries for care that was never given. Attorney: THOSE ARE NOT HOME HEALTH AGENCIES! THOSE ARE CRIMINALS INFILTRATING HOME HEALTH AND POSING AS PROVIDERS JUST TO STEAL FROM MEDICARE! ZPIC: We will stop the crimes by making everyone get a Face-to-Face certification from a physician. Attorney: So you think that people who submit millions of dollars in Medicare claims without ever seeing patients are going to tell the truth on a Face-to-Face document? And you think that honest providers are not going to be harmed by the F2F requirement? Echoing Marquette's scenario, compliance consultant Michael McGowan told the assembled PlayMaker customers about the growing aggressiveness of MAC, ZPIC, UPIC, and RAC auditors. In the name of rooting out fraud, waste and abuse, he explained, they have mastered the art of finding missing words, missing dates, phrases repeated verbatim from visit to visit and, literally, mere typos, and extrapolating them into six- and seven-figure penalties. The problem arises from, and is exacerbated by, the government's promise to pay for some of the Affordable Care Act by controlling F/W/A. To meet the mandate to deny and recoup payments wherever they can, ZPICs and other Medicare auditors have rapidly increased staff, leaving too little time for adequate training on home health Conditions of Participation and Conditions of Payment. This watered down expertise at the MAC and ZPIC level, of course, results in questionable payment denials imposed by inadequately educated auditors. Normally, these outlandish denials would be overturned upon appeal. These, however, are not normal times. The first appeal level, the layer known as QIC, Qualified Integrity Contractor (a title in which, consultants who have interacted with them often note, only the third word is accurate), agrees with the original denial decision 99 percent of the time, leading to the widespread opinion their mission is to collect money, not to administer justice. The ultimate appeal level, the Administrative Law Judge, is effectively closed for at least the next two years until it clears its backlog of cases, a backlog caused, ironically, by the spike in questionable, unsupportable payment denials. One often overlooked regulation makes this a life-or-death crisis. Medicare or its contractors, not the healthcare provider, hold challenged funds until appeals are settled. This rule, promulgated in 2009 as "Section 935," has one consequence. Honest, sincere, hard-working home health providers, who may be guilty of no more than failing to adequately train and discipline their clinicians, can watch their cash flow dry up and be forced to sell or close their agency while waiting for the opportunity to make their case in an appeals court and prove that they are not a criminal operation. If CMS's intention is to reduce the number of home health providers, they have designed the perfect plan. If, however, the intention is to eliminate criminals from the Medicare home health program, CMS has failed miserably and should be held accountable for such an embarrassing failure. There is a second political and intellectual embarrassment that accompanies this tactical failure. If Congress and the White House, with their healthcare reform strategies guided by the Medicare Payment Advisory Commission and implemented by CMS regulators, were to encourage instead of cripple the availability of in-home care services, the overall Medicare bill would be slashed and the Trust Fund extended by years. According to a report commissioned by CMS and conducted by Abt Associates, sending patients to home health immediately after hospital discharge enables hospitals to reduce inpatient stays by 31%. 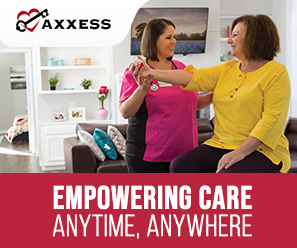 This raises home health expenditures $200 per patient and saves Medicare $4,000 per patient in hospital costs. This error in tactical procedure on the part of CMS is not a home health issue, it is a taxpayer issue. All who see a portion of their paycheck diverted to Medicare have a vested interest in demanding that CMS encourage the use of in-home care as the best way to lower overall Medicare costs and reserve accusations of criminal activity for actual criminals.